We all know that Blu-ray movies are restored on the discs that have all kinds of encryption. So, general speaking, we can not directly enjoy Blu-ray movies on Mac. Besides, Mac does not have Blu-ray drives to read the Blu-ray movies from discs. So, if you want to play Blu-ray movies with Divx Player 7.2 on your Mac, you should find a way to free Blu-ray from the disc protection. How to convert Blu-ray to Divx player format and rip Blu-ray movies to Divx player videos? First you need a Blu-ray ripping tool to remove the protection of Blu-ray disc, and then you need a Blu-ray to Divx player Mac video converter to convert Blu-ray movies to Divx player compatible videos on Mac. 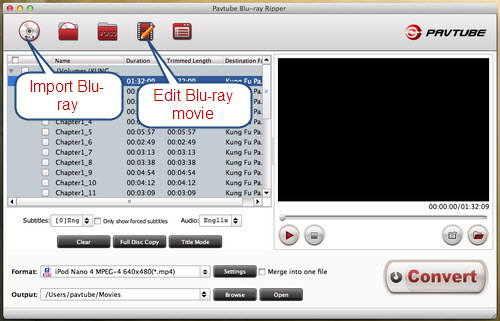 Pavtube Blu-ray Ripper for Mac combines these two tools together into one ,and it helps you remove Blu ray AACS encryption, region codes and BD+ copy protection, and convert Blu-ray to Divx player, rip Blu-ray to Divx player video on Mac with fast conversion speed. Just check this following Blu-ray movie to Divx ripping guide now. 1. Download this Mac Blu-ray to Divx Player Ripper. Install and launch it. At the beginning, you need an external Blu-ray drive connected to your Mac, and you should put Blu-ray disc into it before step 2. 2. Load the Blu-ray video files you want to convert by clicking the 'Add Files' button. Please ensure that your Mac is connected to the Internet and keep the connection until the conversion finished. 3. Choose the output format and specify an output folder if you like. 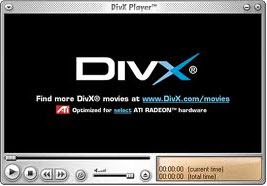 The Blu-ray to Divx player converter for Mac supports Blu-ray to MPEG, Blu-ray to WMV, Blu-ray to MP4, Blu-ray to MOV, Blu-ray to AVI, Blu-ray to Divx conversion and more. 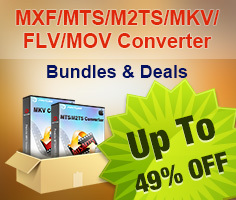 These formats are compatible with the Divx Player 7.2. 4. Click the 'Convert' button. After a while, the converted files are saved in the output folder. Just so easy! Then you can enjoy Blu-ray movie on Mac with Divx Player 7.2 with ease. If you want to edit the Blu-ray movie with trimming, cropping, adding effect or replace the audio, you can click the edit button before starting the conversion.